In flight, the right audience has a lot of time while waiting or sitting in the aircraft. Therefore they are in open-mind for new advertising campaigns. The opportunity to communicate directly with this captive audience, generate direct response, make them experience your product and highlight your special offer. Airline Advertising generates highest brand recall and most effective impact of your advertising campaign. 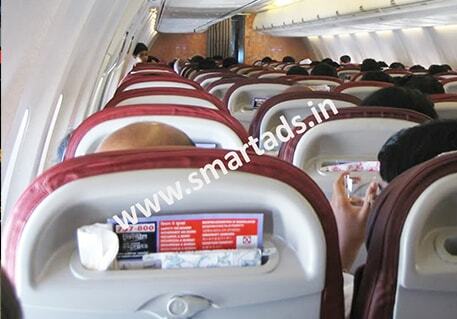 Airlines advertisement is extremely competitive in airline industry. Airlines have gotten creative with their marketing strategies to generate buzz and attract more customer attention. India is a land of diverse culture and ethnicity. But one thing that perhaps unites the entire country is its warmth and hospitality for its guests. Airline companies in India recognizes and appreciates it. There are several most popular advertising media option in airlines magazine. Indigo`s Air Asia shopping catalogue, Hello 6E, Jet Wings of Jet Airway, Go Getter of Go Air`s, Spice Route of Spice Jet`s and inflight magazine of Air India is the most popular advertising option in airlines. Jet Wings and Hello 6E World magazines are also in the international flights. Apart from magazine there are other popular advertising options in airlines. 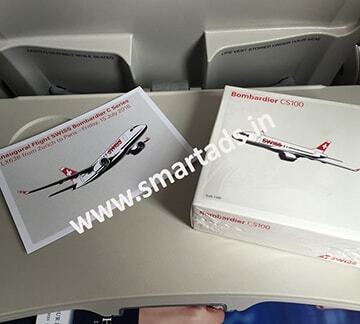 Those are luggage tag branding, boarding pass branding and airline seat back branding. Contact us now to get the lowest rates and other required details for airline advertising and inflight advertising.